2011 is over, but not forgotten. Indeed, in the planning world, it will be remembered as the year when many planners across the country began fielding smart growth policy objections from Tea Party supporters and those concerned about the U.N’s Agenda 21. No shortage of articles and blog posts, written in tones that drip with frustration yet offer few solutions, have documented the trend. These concerns are no small issue. Rather, they’re a formidable distraction capable of sinking years of work and wasting hundreds of thousands of dollars. In an era of diminishing resources, they’re something most communities simply can’t afford. It’s a very real challenge, but not an insurmountable one. For planners looking to make progress despite the hurdles of today’s political reality, here’s a four-step process for successfully navigating the waters. Step One: Stop Belittling Objectors. This should be so obvious that it should not even be a step, but every time I turn around I see smart growth advocates making things worse by calling objectors derogatory names before even attempting to address their specific concerns. Not only offensive, but completely ineffective. Just last month I read a blog comment by a former President of the APA who claimed that the Tea Party and the Republican Party “would be extremely comfortable adorned in the brown shirts of its ideological predecessors of 1920s-1940s Germany.” He later called them supporters of fascism — all the while never addressing a single substantive point (let alone supporting his name-calling allegations). "I'm sorry, but your concerns are beneath me." Sometimes, more subtle actions are just as damaging. For example, last year I had to kick a member of our charrette team out of a meeting with local Tea Party representatives because he was rolling his eyes, making other condescending gestures and picking unnecessary fights that only clouded the issues. Step Two: Listen. Ask any sales person what the most important trait of a great sales person is and he or she will answer the ability to listen. The reasoning is simple. If you do not understand the concerns of your audience, you will not be able to address them. So listen hard. And then listen some more. Step Three: Identify. If you listen patiently, and respectfully ask questions that help you identify and isolate substantive concerns (which, oftentimes, are hidden behind rhetoric), you will finally be at the point where you can engage them in a meaningful way. A. Conspiracy Theorist. While this may sound derogatory on its face, it’s not intended as such. It’s simply shorthand for those who believe that local planning department efforts are being conducted in support of the United Nations’ Agenda 21, despite the fact that most communities have only recently even heard of it. These opponents might also assert that local planners are conspiring with the federal government to force everyone to live in high-rises, abandon their cars, and give up their private property rights. B. Libertarian. Many libertarians have found refuge in the Tea Party because of their shared belief in limited government. They’ve been around the public planning process for decades, and their core belief is that the government should not tell citizens what they can and cannot do with their property. C. Mainstream Tea Party Supporter. 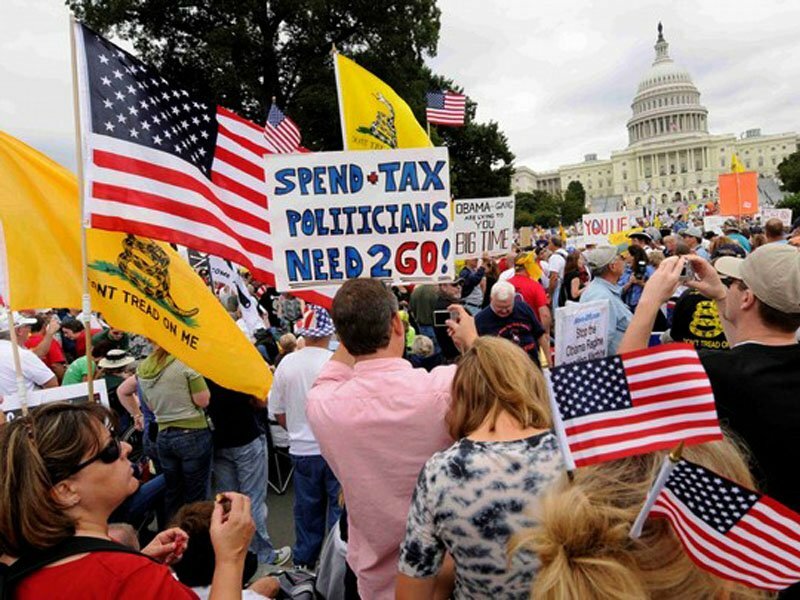 The largest group of potential planning opponents is mainstream Tea Party supporters who have joined together with other local activists to combat fiscal irresponsibility and the growing size of government. They are distrustful of government, which translates to a critically untested assumption that everything the local planning department is doing is wrong. They believe that the voices of the citizenry don’t actually count, no matter how many public hearings and meetings take place. In short, they believe collaborative community initiatives always produce the same end product. That it’s a sham process. Many of their objections spring from arguments made by others, as opposed to personal research (see “Agenda 21 for Dummies“). Call it guilt by association — if Al Gore and the U.N. are for it, they must be against it. If Glenn Beck and other Tea Party members are against it, they must be against it as well. Step Four: Engage. The final step is engaging objectors in a civil manner based upon who they really are; i.e., the group they align with ideologically. In other words, treat them differently based upon their different points of view (although there is overlap). Wendell Cox: He may oppose smart growth but he also opposes distraction. Next, highlight that the most visible critic of smart growth policies, Wendell Cox, wrote an article encouraging opponents of smart growth to abandon their focus on Agenda 21, and to simply oppose smart growth principles on their merits (though he defines smart growth in a manner that is at odds with most smart growth efforts). B. Libertarian. The conventional libertarian will claim that the built environment should be regulated on the individual choices of each individual parcel owner. That is how they define freedom. But this vision necessarily takes away a land owner’s freedom to live in a vibrant downtown setting or a neighborhood where agreed-upon rules produce, to them, a desirable environment. In other words, the libertarian vision provides freedom for some, but takes away the freedom of others who want something different. Ironically, the prospect of a community that permits a demand-driven diversity of places should be the goal of true libertarians, as it respects the freedom of all citizens. But is it? Ask the libertarian if they believe that property rights should be subject to the democratic process that we have in place today. If wasteful spending is the problem, why oppose efforts towards greater returns on public expenditures? 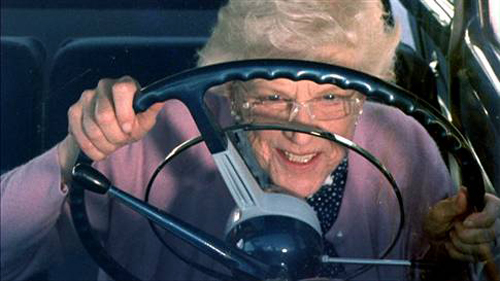 Fighting to preserve conventional zoning affords us the freedom to be mowed over by people who should no longer be driving, yet have no choice but to do so. 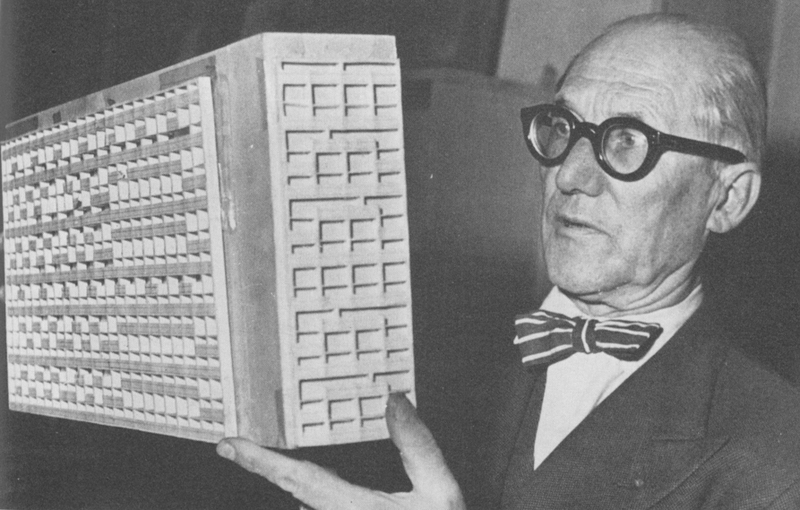 (3) the European socialist origins of conventional development patterns; e.g., Le Corbusier and the Radiant City. Looking for an easy definition of irony? The separated-use zoning defended by Tea Party advocates has its roots in the ideas of a European, intellectual socialist. Finally, don’t indulge discussions of terms with no shared, agreed upon definition, such as “sustainability” or “economic justice.” Instead, ask them to articulate their vision for the community so that it can be contrasted with your efforts. And remember, it is counterproductive to simply label one thing “smart growth” and another item “sprawl.” Dig deeper into the details so that you can discuss the substantive issues. The community will have the final say on what they do and don't believe. It’s not necessary that you convince everyone of the correctness of your position. Instead, you simply need to work through their concerns. By engaging them respectfully such that they articulate and go on record with their real beliefs, you ensure that their objections can be judged not by you but where it matters: At the ballot box. What you do not want to do is get into an argument centered around who best fits the description of a Nazi. This is one of the most important blog posts I’ve seen in months. For a decade, I’ve been saying publicly that the New Urbanism should NOT become the lapdog of any political party, right or left, but should instead focus on plain-spoken, common-sense community-building that spans the political spectrum. The New Urbanism began, after all, as private-sector, for-profit development. But because left-leaning voices amongst our colleagues have been the most strident in recent years it has become increasingly easy to pigeon-hole the New Urbanism as a left-leaning movement. So now we need this excellent advice from Nathan on how to chart these new waters. The best thing, however, is to get back to our roots as a movement not beholden to any particular political orientation for one very simple reason: the things that we are doing last much longer than politics. Politics only last until the next election unless there’s a recall, in which case they end even more quickly. But the streets, squares, and parks can last for centuries. So the worst thing we can do is to allow our work to be stalled… or worse… when (not if) the political party we’re beholden to loses power. It happens all the time. We need to last longer than that. and actions for sustainable development. You say that we are conspiratorial for thinking (in your words): “These opponents might also assert that local planners are conspiring with the federal government to force everyone to live in high-rises, abandon their cars, and give up their private property rights.” And here is an excerpt from our very own SmartCode written by PLACE MAKERS! Tell me if this doesn’t support our claim that Agenda 21 seeks to place us into cramped city high rises! a. That Traditional Neighborhood Developments should be compact, pedestrian oriented and mixed- use. Never underestimate the power of Trader Joe’s. Everyone wants one within walking distance of his or her home. But, too often, planners are not focused on the real value smart growth and greater intensity adds to a neighborhood in the form of new amenities. This is a fantastic article, and I think you really hit the nail on the head spot on. I’ve been a libertarian for years and am finishing up planning school – I’ve been around all kinds of republicans, tea party groups, Anti-UN people, conspiracy theorists of the most extreme caliber, etc. Your approach is exactly the way that you need to talk to people to get your point across. The one other point I would address is that there’s also this notion that the sprawl and motor vehicle culture that we have here is all the result of the free market, which it isn’t. It’s all designed by policy from yesteryear to today as we try to shape the world we live in. Once they get that the reason that things are the way they are because of big government policies, you just need to tie in the bit about more freedom, more choice, and better fiscal responsibility in regards to infrastructure in regards to smart growth and you have an argument that people can at least approach reasonably. The bottom line here is that we all want two things out of our world – peace and prosperity. We just have different ways of going about it and need to work to find common ground. From our experience in North Idaho, this blog post is absolutely on target — the taxonomy and techniques here are exactly correct. The only thing I’d add is that one shouldn’t actually expect to “win” the argument. There is great value in simply being the most objectively reasonable person in the room. I love the sentence, “There is great value in simply being the most objectively reasonable person in the room.” That is my “take away”. Thank you for this article. I am a citizen actively engaged in monitoring local planning efforts. Most planning activities are quite reasonable. I have observed activists on both sides. There are hard-core environmental and social justice “stakeholders” who have tried to manipulate planning efforts for theie own political purposes. There are also Tea Party activists using fear (e.g., the spectre of UN-control and one-world government, Bilderbergers, etc.) to push their own agenda. I refuse to be sucked in by either side. Thanks for this article and advice. I am a city Planning Commissioner, and have worked in the land planning industry for 25 years. At our commission hearings, and as we craft our revised General Plan, I often suggest land use policies for our city that allow for housing choices that support various lifestyles and desires. But when I use words like “Transit-Oriented”, or “Clustering” in the discussion, the emails start coming from watchdog groups. The messages accuse me of being controlled by Agenda 21, etc. To be honest, I did not know what the agenda was until I researched it last week. Thanks, Nathan, for a very straight-forward, even-toned article on a very big subject. As Steve said above, good planning cannot be about politics but about better communities. As you and others above suggest, we’ve increasing become subject to tighter and tighter development rules that have pushed the free market, personal choices, and long-term stability out the door. We now regulate land use in the US more tightly than any socialist country in the world, arguing for 45 minutes about which way a dumpster will face. Meanwhile, our sprawl neighborhoods are not being retrofitted; we “retrofit” by calling a moving company. We’ve institutionalized decline. Politicians and government planners are now seen as less reliable than faceless, nearly anonymous blog posters. Many on the left have attempted to reduce us to Orwellian terms and now the other side of the spectrum are doing the same. To have a goal of economic sustainability, where taxpayers aren’t always on the hook for too wide streets, miles of infrastructure for few homes, is adjudged to be “aligned with the United Nations.” Yet looking how we got here, starting from such architect planners like Le Corbusier, any self-respecting Tea Party member would be appalled. While they do complain about the status quo, they stand ready to defend it over allowing more housing choices, more transportation choices, and less regulation of uses. I think it is that distrust of institutions and a lack of planning exposure that does have many seemingly defending the indefensible. Your suggestions of listening and identifying the actual concerns are the right first steps. The opportunity is to educate on the economic opportunities and personal freedoms that are at the heart of New Urbanism and form-based codes. And, again like Steve said, separating ourselves from the left-leaning voices and helping the right-leaning voices to understand we all want the same freedoms. Great article Nathan…I just wanted to add one thing. I think one of the most important things to do when confronting a Tea Party activist is to put the onus on them to articulate their vision of how things should be laid out. Smart growth advocates have to formulate a complete vision for what they think is right and put it out for everybody to judge. Our plans are complex and nuanced, so it makes it easy for some to nitpick small details and discount the whole thing. I believe that if you put it on your counterpart to articulate a plan, it can help them see flaws in their own thinking. Urban planning also became popular because of the growing need to get factory workers into healthier housing, rather than stuffing them into firetrap tenements. With the advent of unions, workers had advocates to help lobby for better housing. Hence, “mill villages” and “steel villages” sprang up in larger cities. Thanks for sharing. OT I suppose but what astounded me here are the references to Agenda 21. Most local planning bodies in the UK completed their Agenda 21 strategies by 2000. OK they then put it on the shelf thinking, ‘done that, move on’ but that’s another story. Is Agenda 21 suddenly coming forward as a straw man from the Tea Party or is something else going on? No one here would ever link it to the ideas of Corbusier. It was about local choice, local control, ‘greening’ of business affairs and in general many ideas that taken at face value would be right at the heart of Tea Party activists. ‘Taken at face value’ is of course the key, because it became just another procedural hoop to jump through and I didn’t see much actual commitment to delivery – in particular its overlap with the planning system caused conflict and confusion. It was another layer rather than being integrated. It is so full of inaccuracies, misrepresentation and nonsensical statements that I find it hard to believe anyone can give it credence. Is this sort of nonsense about sustainability widespread in the US? I suppose the fact that they appear only to have discovered it in 2011 after the idea has been mooted since the early 1990s at least, says all you need to know about how on the ball they are. I did a lot of work on the Agenda 21 strategy for the English council I worked for in the 1990s. I did a huge amount of research then and have continued to monitor the issues surround it since then. It has always seemed to me that at the core were ideas that Libertarians of both left and right could endorse. I don’t subscribe now to some of the more statist proposals attached to that work, but the core premises remain valid. A sustainable Britain (and US) would be one based around local food, local manufacturing and an active community. What we are actually getting of course is ever more intense corporate control of our food supply, our energy, our water – and our government. I can tell you that it has ALWAYS been so, but not just countries like the Soviet Union or its satellites. I started studying Planning in 1966. I graduated in 1971 and have always had an interest in comparative planning studies. I have had many discussion on USENET and similar fora with planners across the world including Canada and the US, European countries and in Hong Kong and New Zealand. The US zoning system has always been more intrusive than the equivalent in the UK and probably much of Western Europe. Couple that with the appalling excesses of HOAs and you have probably the most regimented planning system in the Western world, in so far as it impacts on individuals and small businesses trying to make their way in the world. the Chinese approach to development is more authoritarian – and perhaps more effective in the short term – than anywhere else in getting major infrastructure built, but individual concerns don’t really enter into consideration in that society. In fact many areas of activity in the US are regulated in ways that simply would be laughed out of court in the UK. I don’t yet know the answer is but my studies have always suggested to me that it isn’t zoning – it is simply too inflexible.The work of people like Chris Alexander and Stewart Brand offers a conceptual framework, but essentially I think we need less central planning by anyone – including bodies like HOAs and more peer to peer activity. Great article, Nathan. I’d like to underline your paragraph on using “planner speak” like sustainability and smart growth. These terms are great for the office, but not with the public or the media. We need to learn to put ideas in layman terms so to find commonality with the ideals of others and better relate to the public. “Planning” is difficult enough to define. We need to do a better job of communicating so that others will understand our role and value to the places they call home. But my experience with the public is that they DO want the government to tell THEIR NEIGHBORS what they can or cannot do with their property. The public wants all services but of course they do not want to pay for it. As someone applying for grad school in urban planning, I can say your advice is invaluable and I will take it to heart when I am a planner.